There are many reasons why someone would hesitate about getting their first cat. Perhaps cats not allowed in their lease. Their partner has allergies, or they simply don’t feel like they can handle the responsibility. Others, such as those with mental health problems, worry that they are not in the right state of mind to have a pet. When it sometimes feels difficult to take care of yourself, it can seem irresponsible to care for an animal. However, cats can actually make great companions for people with conditions like depression, anxiety, and PTSD. In a survey by the British Charity Cat’s Protection, 87 percent of cat owners said they felt their pets had a positive impact on their well-being. Cats make supportive and loving pets and can be particularly useful for those suffering from a mental health condition. If you are thinking about getting a cat, you have to first make sure you are ready for the responsibility. You will need to feed them, clean their litter box, provide a comfy bed, stimulate through play. It may feel strange to take on more responsibility when you are struggling to do the basics for yourself, but it can actually be a great motivator. Pets give you a sense of purpose, and purpose is essential for good mental health. Cats offer a particularly good balance; they rely on you for their well-being but are independent enough that their needs don’t feel overwhelming. Research has shown that human-animal interaction has an extremely positive effect on mood, leading to long-term physical and mental health benefits. However, any cat owner could have told you that. Cats offer a soothing presence to people who are sad and anxious and can be a source of loving, non-judgmental comfort. Also, it’s time to retire the stereotype that cats are not as affectionate as dogs—felines are very loving pets, they just show it in different ways. According to Medical News Today, cat owners have been shown to be less at risk of heart attack and stroke than those without a cat. This is because cats are very calming pets—everything from their fur to their weight to the sound of their purring can be intensely relaxing. Dogs can also be wonderful for mental health, but they tend to be more excitable and demanding with their time. Pleasing a cat, on the other hand, involves a simple routine of feeding, grooming, and cuddling. As a general rule, pets are great for mental health. Whether you choose a cat over a dog, rabbit, or hamster is up to your personal preferences. However, if you are the kind of person who lights up at the sight of a kitty, a cat is most definitely the way to go. Think about how happy you get seeing a cat on the street or at a friend’s house. Having your own cat would mean you can access that feeling whenever you need some comfort. As long as you commit to being a loving and responsible owner, you can make each other very happy. Many people prefer to leave their feline friends at home. Cats are independent beings. They interact with us on their own terms, but like independent older people, they need someone to check on them. Sometimes in order to save money, pet parents ask Pet Sitter come over only once every 2 to 3 days. Cats can find themselves in dangerous situations. We don’t know how he did it, but one of the cats we care forgot himself trapped underneath a hot tub bath. Because we were visiting every day, he was “rescued” quickly, but had no access to food/water or a litter box. Fortunately, he was fine but was definitely terrified and very happy to get out when we arrived. Cats hide illness so not become prey. Consequently when they are sick enough to show it, often will decline quickly. As Professional Pet Sitters, we are familiar with kitty behavior. We notice when things are not quite right, alert our client, and know when to take them to the Vet. Pet Sitters love pets! Your kitties will receive TENDER LOVING CARE, they’ll enjoy being pampered, and get exercise during playtime. Family and friends sometimes forget, as Professional Pet Sitters, we confirm your request for visits before you leave and send updates. We also ensure that, if required, your cat receives medications in the right dosage and at the right times. Just setting out a few days’ of food. 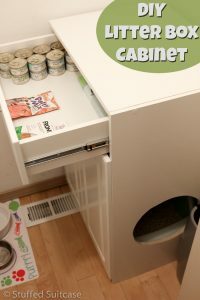 Often one cat eats all of the food and other cats get minimal or no food. When auto-feeders can malfunction, or the battery dies, and cats are left with no food. Likewise, bowls of water can get knocked over, spilled, and get dirty. Cats will gnaw on plants and strings. 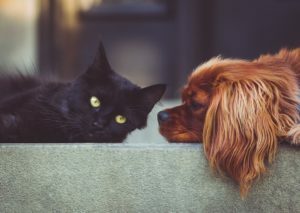 Noteworthy experienced Pet Sitter will notice if cat exhibits signs of eating a poisonous plant or swallowing a string. 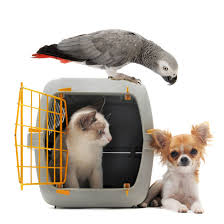 Furthermore, Pet Sitter experienced and has specialized training with Pet First Aid. What if you are delayed and the cat is left alone longer than you planned? Your travel plans change for any reason, we will continue caring for your pets as long as you need us. Hence there is no interruption in their routine. Cats like to control interaction with humans, but they do need interaction! Some become anxious when left on their own for long periods of time and feel better with a reassuring human’s visit. .Pet Sitters clean up messes. If your cat vomits near the food or water bowls, they often avoid the mess. So your cat may not eat or drink for the duration of your absence. But you’ll never even see my cat. Some pet parents tell us we’ll never see their cat, but we check on your cat and observe food and litter use noting any inconsistencies or changes in patterns. We search where they hide and make sure they are okay. Often we end up bonding with them. They realize we are ones providing theirTender Loving Care. My cat doesn’t like strangers. Even for short trips of day or two, it’s good practice to have your Pet Sitter visit for a few short stints before a longer departure. Likely your cat becomes familiar with the sitter and isn’t so stressed by your absence. We also find that after a couple of visits, many cats who are usually shy actually come out and spend time with their Pet Sitter for cuddles, playtime, and treats. 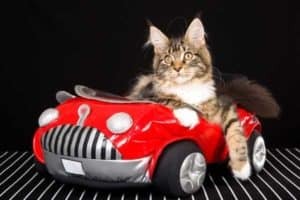 Many people travel with their cat, as can be seen by the YouTube videos that depict people taking their cats on hikes, boat trips or bike rides. 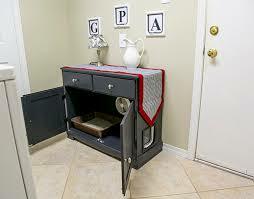 While it can be fun, it requires a lot of careful planning and consideration of feline and human needs. Also, people sometimes need to travel long distances with their cats, when they move into a new home. This guide will help you travel with your cat successfully. The guide features several helpful checklists including special ones for traveling by car or plane. Also find valuable resources including how to find pet-friendly hotels, navigation lists, and suggested items to pack. 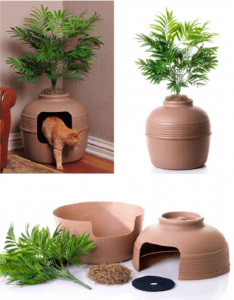 This ultimate cat travel guide also has suggested arrangements make prior to the trip, detailed tips what to do on the day of travel, and couple special videos help prepare your cat for travel. We have traveled long distance with our cats, both by car and plane, to participate in Cat Shows. Found information provided in this blog ” How To Travel With Your Cat” (Ultimate Guide) easy to read, insightful, and useful. May wish to save all or parts of it for future reference. Encourage you to click the link below to read the entire blog. Most of us know that cats need plenty of fresh drinking water every day for optimum health. Water is essential for helping the kidneys flush out toxins from the blood. Water also helps keep other organ tissues hydrated and healthy. Dehydration in cats is dangerous, and if not treated, can lead to death. Drinking a good amount of water is vital to a cat’s health. Most people don’t think of water as a nutrient. But considering that water accounts for about two-thirds of a cat’s body weight and serves as the hub of all chemical processes in the body, it’s actually the king of all nutrients.